Auriou's origins date back to 1856 but was interupted by closure in 2007. 2 hand tool enthusiasts re-started Auriou in 2008 with the new name of Forge de Saint Juery. 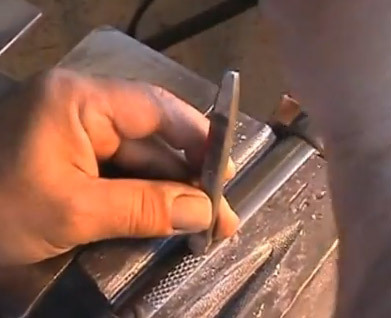 4th generation rasp maker Michel Auriou is the hands on manager of the forge. We believe we are the only maker of hand made rasps and rifflers who do all the traditional processes "in house" at our forge. We do not sub-contact any part of the rasp and riffler making process. This allows us to keep a very careful eye on quality control. Auriou are busier than ever and have taken on new workers to meet the demand.